If you don’t have a local SEO strategy or don’t stay up-to-date with your approach to local search, you stand to lose a lot of potential customers. 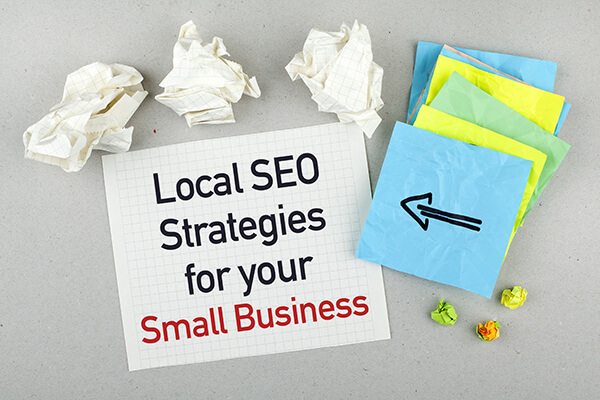 Local SEO is essential to any business looking to attract local customers. We live in a time where people use smartphones, GPS-enabled devices and voice assistance more than ever — consumers are more likely to make quick decisions because search results have never been more accessible. Therefore… If you don’t have a local SEO strategy or don’t stay up-to-date with your approach to local search, you stand to lose a lot of potential customers. The good news is, there are steps you can take to enhance your business’ digital presence via local search optimization. Here are ten important factors that affect local search rank for your business. A citation is a reference of your business online (usually the name, address and phone number). Often, businesses don’t realize that even though they didn’t create any listings for their business, there may be some that already exist. There are companies that gather information about businesses and send that information to a variety of websites to help build out their directory. That’s why you may see that a YellowPages profile has been created with the details of your business, even though you may not have done it yourself. Building and cleaning up citations is a process that’s not easy. Patience is required, as it takes time. If your competitors are more experienced with local search and have done the heavy lifting to optimize their business listings, you need to follow suit. Once again, this does not happen overnight — especially if your competitors have an older domain with greater authority and a well-rounded search profile. The key to keeping up depends on everything from content on your website to inbound links from authoritative websites and more. One of the fastest growing ranking factors on Google is the searcher’s proximity to the business when conducting a search. Unfortunately, this is one of those factors that’s starting to have more and more influence, and the business can’t really help. It comes back to Google wanting to provide the most relevant results for a user, which means not mentioning a practice that’s in another town if a user is looking for LASIK in a specific area. A solid on-site SEO strategy is important for the success of your local presence. Especially when it comes to the Google search engine, it can play a big part. It’s by no means the end-all-be-all in its relation to local but its impact can’t be overlooked. One of the most frustrating issues some of our clients come across is their inability to rank in the map pack for a larger city if they’re in a small suburb just outside of that city. Unfortunately, this can make it extremely difficult (and sometimes impossible) to rank locally in those areas. One of the best things you can do if you’d like to show up in these areas is to utilize paid search services. The amount of reviews and engagement with your local profiles plays a huge part. Although Google can be confusing at times when you see a business with no reviews in the map pack; this is typically associated the proximity to searcher or city center. Making sure that you have a plan in place to build reviews from your customers on your Google My Business page as well as other important third-party websites such as Yelp is one of the best things you can do for your local SEO. Categories can play an important part when it comes to showing up in the map pack for certain terms. If you’re trying to rank for LASIK related terms but do not categorize your profile under ‘LASIK Surgeon’ it becomes much more difficult (if not impossible) to beat out the competition. A great way to get a sense of what category you should implement is by conducting a search for the term that you’re hoping to rank for and see what your categories your competition is using. But remember, to only focus on 1 or 2. Using too many categories for your business can have the opposite effect. 8. If you want to be relevant, make sure you optimize with keywords and relevant topics. As we mentioned earlier, a solid SEO strategy can go a long way in building up the importance of your website. If your website is trying to rank for LASIK, but you aren’t writing about LASIK and other keyword variations such as “LASIK Surgery,” you’re wasting your time. I’m sure you’ve heard it before and you’ll definitely hear it again: content is king. One of the best things you can do for your overall digital presence is get involved locally. Asking important websites from your town to link back to your site is one of the easiest and best ways to show Google the importance of your site. You can sponsor an event and get a link back from the event site, get the BBB in your town to list you on their website with a link to your website, etc. Get creative with this and don’t stop after just one. 10. Continually revisit the main criteria of reviews and citations and ask what else can be done to make improvements. Success in local SEO is by no means a “set it and forget it” platform. One of the biggest issues we’ve seen is that a company will spend money to make sure their profile is optimized but won’t go back to check on it for months. Once you have a solid local strategy in place, it’s important you keep optimizing it. Make sure you check the reviews patients leave and follow up whenever possible. At Glacial Multimedia we have tested various methods for obtaining success in search results. Please contact us for a free SEO audit and learn how we can problem-solve your way into the all-important map packs.